Thank you to all the promoting bloggers, I could not do it without you, THANKS! Any of these make a much better snacks that fat filled candy! You can order HERE and don’t forget to use code TREAT10. It’s good for 10% off sitewide, with no restrictions. Free shipping on $19.95. It’s good through 11/30/15. Makes for a great time to shop for Christmas gifts! This giveaway is in no way endorsed, affiliated, or associated with Facebook, Twitter or any other Social Media Networking Site. You are not eligible if you have won a prize from any of the sponsors in the last 12 month. This Giveaway is valid in the Continental United States Only and Entrants must be 18+ years of age to enter. This giveaway event will end at 11:59 PM (EST) 11/10/15. The winners will have 48 hours to email their information back to las93063 at gmail dot com or a new winner will be drawn, you may want to put this email address as safe as it could go to spam. The sponsors are each responsible for shipping of the above prizes. No blog associated with this contests are responsible for prize fulfillment. If you would like to be a sponsor in a giveaway like this please email Laura Smith at las930 (at)gmail (dot) com. Next post: Banana’s and Coffee for the WIN! I like the Women’s One Daily Multivitamin. I would love CoQ10 because it is what my Doctor told me to take everyday and I do. It is a antioxiodant which protects the body from damage. Thanks! 6 per Box / Item #057416 is another item I like. I like the SpaMist Ultrasonic Diffuser. I bet it is just what I need. 9 oz Container / Item #037051 is another item I would like to have. Raw Pepitas (Pumpkin Seeds) is something Chris and I love. I’d like to try the roasted salted deluxe mixed nuts. 5 oz Bag / Item #075728 is another item I would like to have for Sorcha. I would like to try the Isopure Zero Carb Whey Protein Isolate Banana Cream. I use powdered protein and this is new to me. I want to try the Co Q10 and Ubiquinol for heart health! I like the Tart Cherry Extract 1000 mg! I can use a lot of supplements. I do krill oil for my hearth health. I do prebiotics, for my stomach’s sake. I think I should do Vita D cause I avoid the sun always and don’t do milk…. 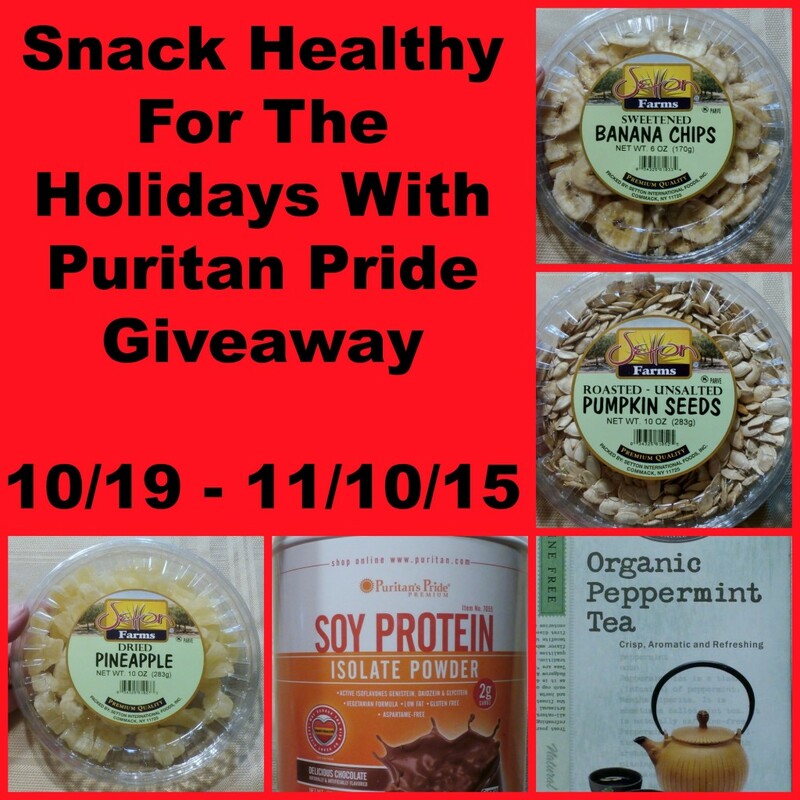 I like that Puritan’s Pride has a wide variety of dried fruits/veggies and nuts. These can be difficult to find at a reasonable price in my area. http://www.puritan.com/pet-products-008/hip-and-joint-soft-chews-for-dogs-079990?cm_re=body-_-supplements_pets-_-hipjoint_softchews_dogs is something I would love for Sorcha.